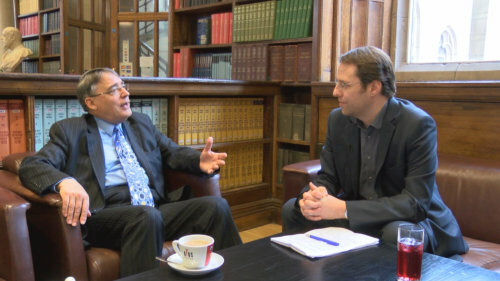 A couple of weeks ago, I hosted a University of Manchester public event at which the Director of the Office for Fair Access, Prof Les Ebdon, responded to pre-recorded questions from staff, students and alumni. One of Prof Ebdon’s key points was about the under-performance of Black and Minority Ethnic (BME) students. According to Prof Ebdon, the issue is now “bigger than access into university” for such students. Prof Ebdon was responding to a question asked by undergraduate student, Aasia Hanif, in which she cited HEFCE research showing that the likelihood of students from some minority ethnic backgrounds being awarded a good degree was lower than that for other students with the same entry qualifications. Prof Ebdon described university as “the best investment you can make”. However, when pressed on the complexity of student loan model, he conceded that “the advantages of the system take a lot of explaining to people who just see the headline £9,000 per year”. In response to a question from Diana Khasa about the lack of encouragement received by some would-be applicants, Prof Ebdon urged universities to address the “myth” that young people from non-traditional backgrounds don’t fit in. However, he also acknowledged important differences in the quality of advice, information and guidance received by students from different educational backgrounds. “When I go into a fee-paying school, they’re usually very hot about university admissions,” said Prof Ebdon, before recalling his own difficulties navigating the university admissions system, which he described as “a complete lottery”. “But lotteries are usually random,” I said. Prof Ebdon talked about “continued improvement” in the young participation rate of students from the most disadvantaged backgrounds. However, in response to a question about mature students from Student Union Campaigns Officer, Clifford Fleming, he accepted that participation rates for some other groups had fallen since the introduction of higher fees in 2012. Prof Ebdon also maintained that the Widening Participation agenda should not stop at the point of admissions, noting that non-traditional students “are likely to need extra support” once at university. This entry was posted in 2012 Fee Structure, Admissions, Attainment, Contextual Data, Ethnicity, HE Marketisation, Information Advice and Guidance, Office of Fair Access, Participation, Student Debt, Student Fees, Widening Participation and tagged access, disadvantage, Higher Education, Les Ebdon, OFFA, socilal mobility. Bookmark the permalink. ← Are counter-arguments to a Graduate Tax wearing thinner with every new RAB estimate?